Building permits can be your worst nightmare, taking up endless hours, days, even months of your life. If you have ever ventured into that unforgiving world, you probably already know how tiring it is. How easy is it to extract building permits in Arab countries? Paperwork, lines, stamps, and government officials stand between your dream and turning it into a reality. Across Arab countries, receiving building permits can take up anywhere between 49 and 270 days. Furthermore, some countries may need more days but offer a smoother and easier process. Here is where Arab countries rank when it comes to the number of days needed to extract a building permit. 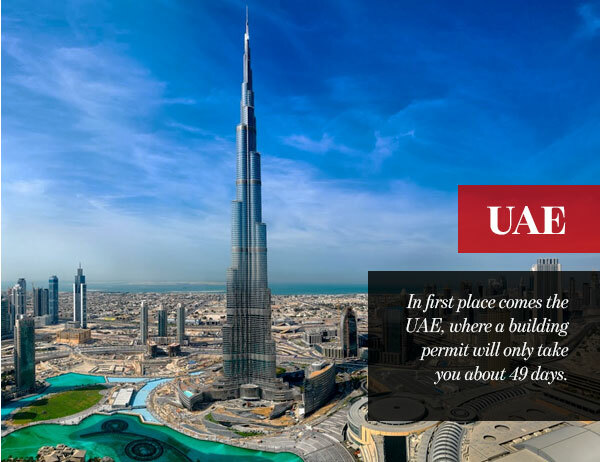 In first place comes the UAE, where a building permit will only take you about 49 days. The UAE also ranks 4th worldwide in terms of the easiness of the process, making it one of the easiest countries to receive a long-awaited permit. 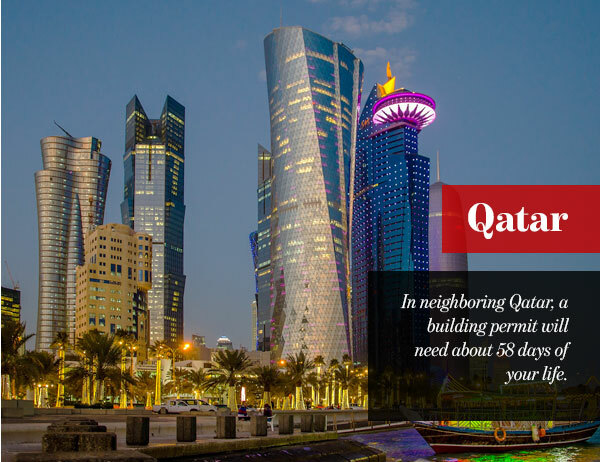 In neighboring Qatar, a building permit will need about 58 days of your life. However, Qatar ranks 5th regionally and 21st globally when it comes to the entire process. Although it isn’t the easiest to receive, it comes in second because you can start building in under 2 months. Not too far behind, comes Jordan. Here, building permits require almost 63 days to be extracted. On the other hand, however, the process in Jordan is quite hard. 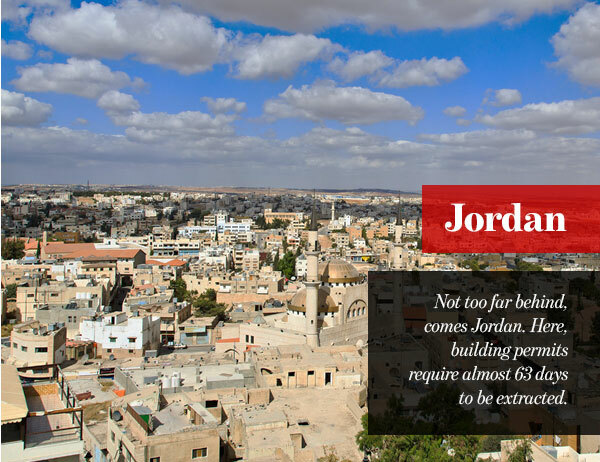 Since Jordan is ranked 12th in the region and 109th across the world. 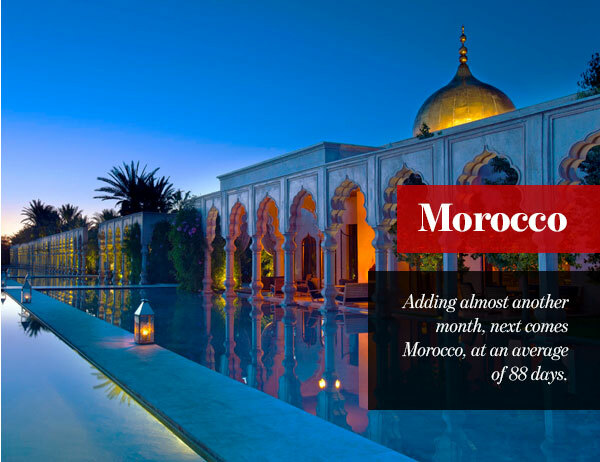 Adding almost another month, next comes Morocco, at an average of 88 days. Despite that, Morocco comes in third in the region when it comes to how easy the process is. It is also ranked 18th globally. 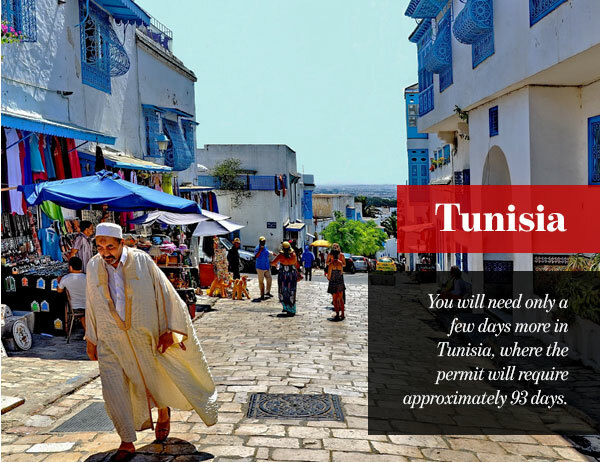 You will need only a few days more in Tunisia, where the permit will require approximately 93 days. The process in Tunisia is ranked 7th in the region and 59th in the world due to its ease. 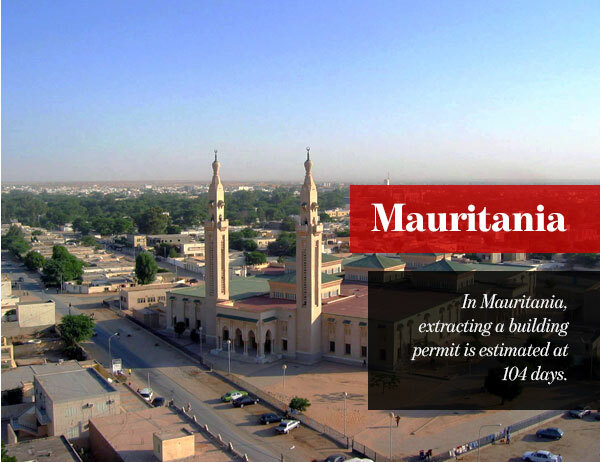 In Mauritania, extracting a building permit is estimated at 104 days. The process is considered a hard one, as the nation ranks 13th regionally and 118th globally. 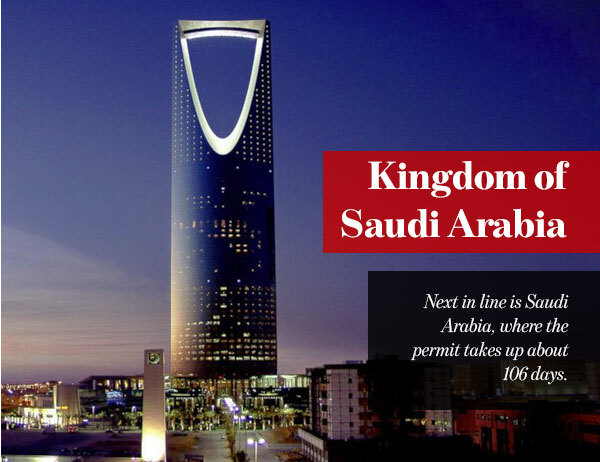 Next in line is Saudi Arabia, where the permit takes up about 106 days. Despite the somewhat larger number of days, Saudi Arabia’s process ranks 2nd in the region and only 15th globally. So although it may take more time, it should be a nice and easy journey. 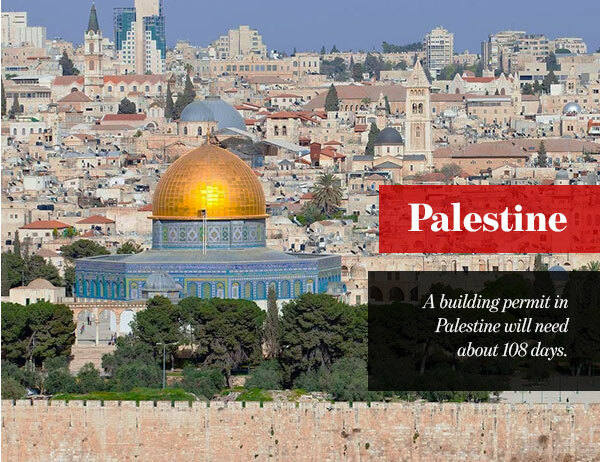 A building permit in Palestine will need about 108 days. A difficult one, however, be prepared for a process that ranks 18th in the region and 157th worldwide. 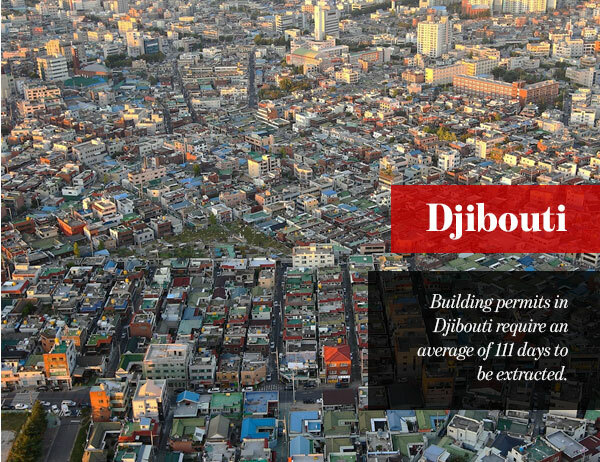 Building permits in Djibouti require an average of 111 days to be extracted. Furthermore, the process is ranked 14th regionally and 120th globally. 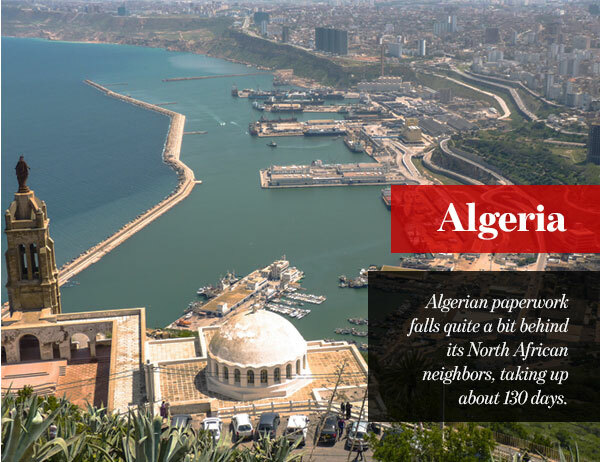 Algerian paperwork falls quite a bit behind its North African neighbors, taking up about 130 days. Furthermore, the process ranks only 9th in the region and 77th worldwide. 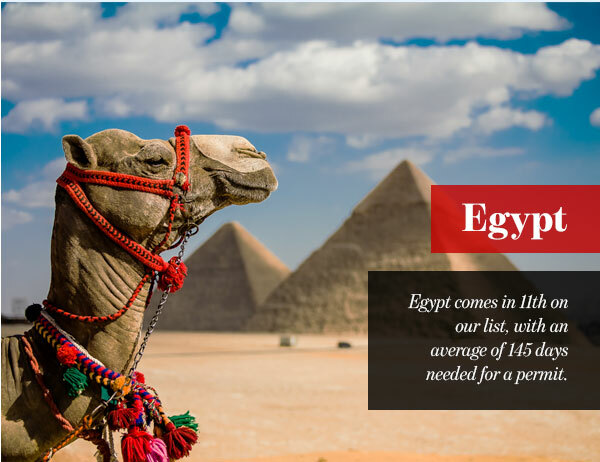 Egypt comes in 11th on our list, with an average of 145 days needed for a permit. However, the extraction process comes in 8th place in the region and 64th in the world. 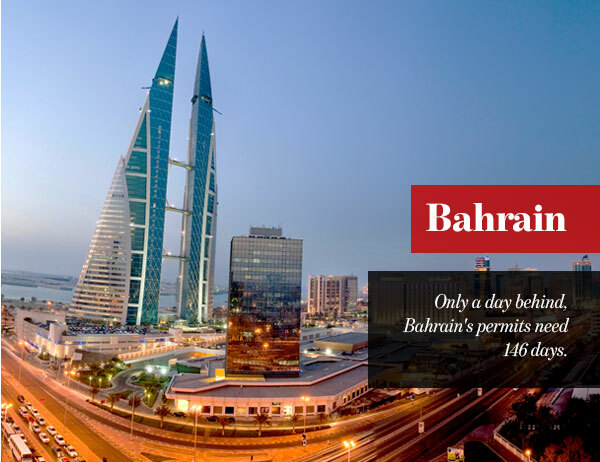 Only a day behind, Bahrain’s permits need 146 days. Luckily, however, it has one of the easiest processes that ranks 4th regionally and 19th across the world. If you happen to own a land in Bahrain, you can easily extract a building permit. 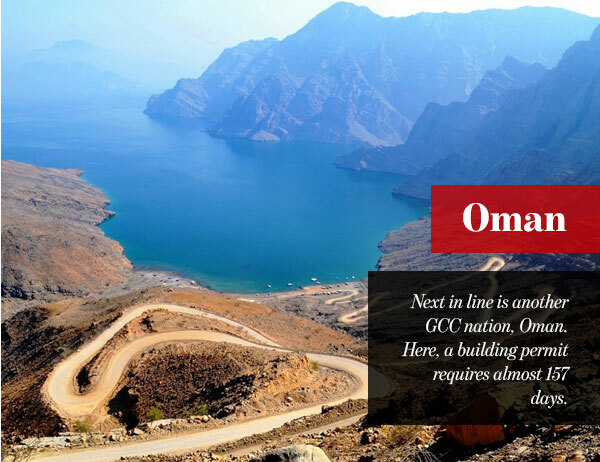 Next in line is another GCC nation, Oman. Here, a building permit requires almost 157 days. Yet again, the process is swift and easy, as it is placed 6th in the Arab region and 52nd in the world. 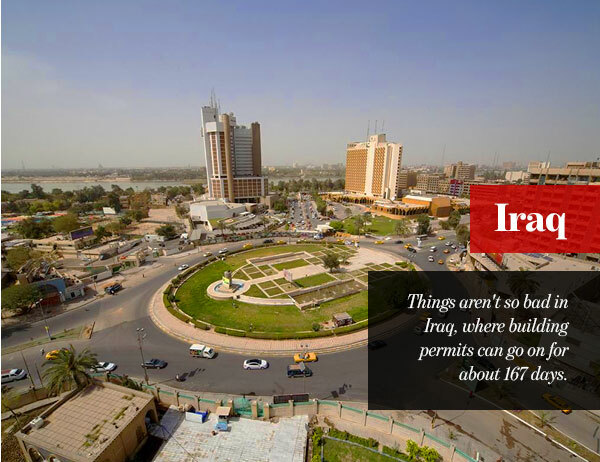 Things aren’t so bad in Iraq, where building permits can go on for about 167 days. The country ranks 11th in the region and 104th globally when it comes to the easiness of the process. 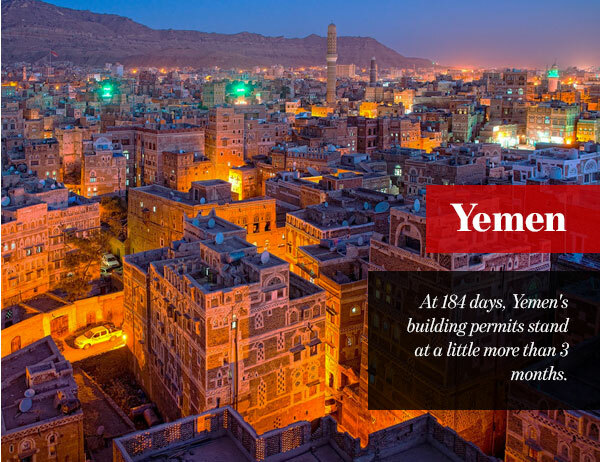 At 184 days, Yemen’s building permits stand at a little more than 3 months. Moreover, the process is relatively easy, as it comes in 10th place in the region and 90th in the world. 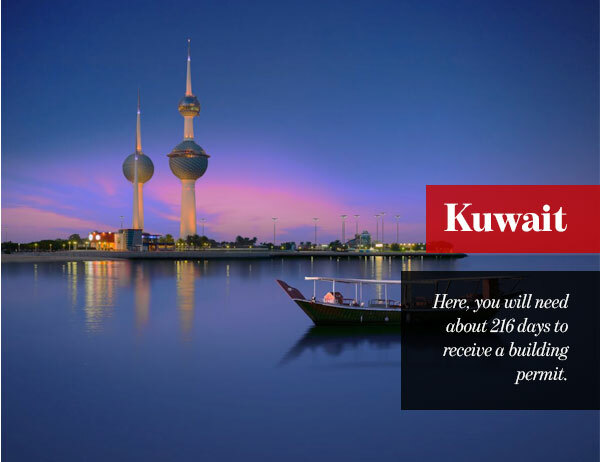 The last of the GCC nations, Kuwait, finds itself towards the bottom of the list. Here, you will need about 216 days to receive a building permit. Considered quite difficult, Kuwait’s extraction process ranks 16th regionally and 144th globally. 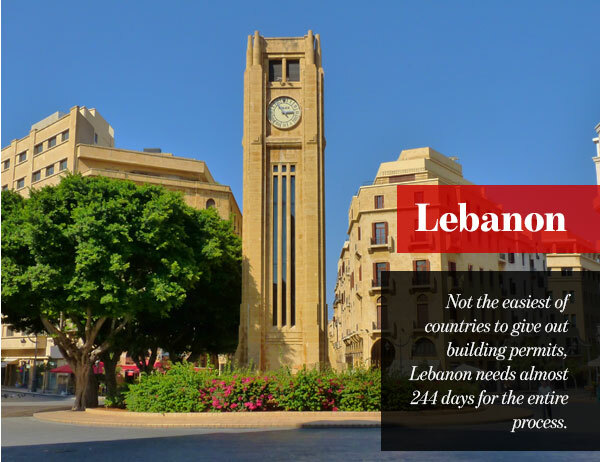 Not the easiest of countries to give out building permits, Lebanon needs almost 244 days for the entire process. Ranked 15th in the Arab world and 135th in the entire world, Lebanon’s process is no simple task. Finally, we come to Sudan. 270 days is the amount of time you will need to extract a building permit here. If that isn’t enough, the process is also extremely difficult. 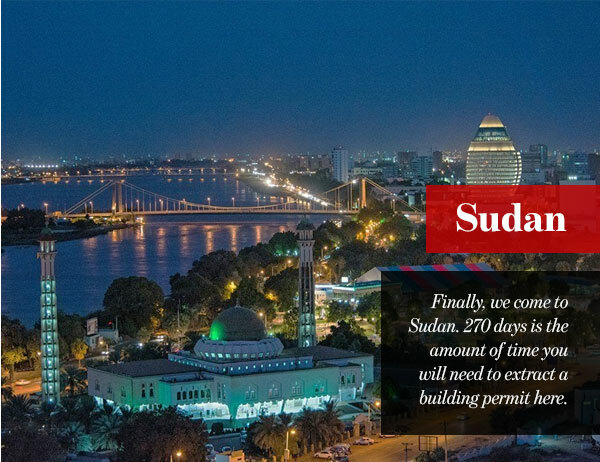 Sudan ranks 17th in the region and 145th in the world. Construction Two of them are in the GCC: Futuristic Cities that are being built right now!